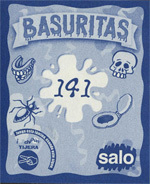 Chile released a version of Garbage Pail Kids called BASURITAS that included multiple inserts and a collector album. 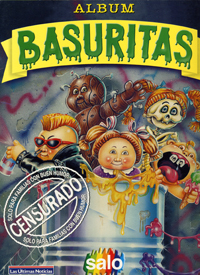 Chile released their own version of Garbage Pail Kids called Basuritas. 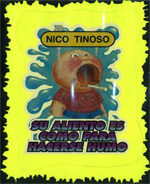 Only one series was ever released (in 1989), consisting of a 150 sticker base set, and numerous inserts/etc. 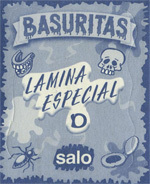 As is typical with the foreign releases of Garbage Pail Kids, Chile released an album to accompany their sticker release. 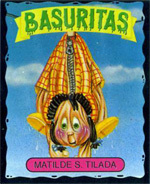 This album featured numerous pages that are for the collector to peel and stick their Garbage Pail Kids stickers. 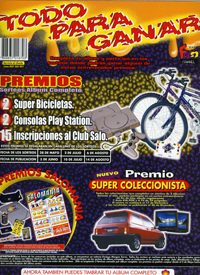 It also features advertisements and information for other products.